Electric vehicles are poised to transform transportation. Effective charging solutions are critical to that transformation. Established in 2007, Smart Charge Residential was born right here in Austin, TX as one of the first companies in America to focus exclusively on electric vehicle charging station (EVSE) installation and has been delivering that promise across Texas ever since. For the past few years Smart Charge Residential has worked closely with industry leading companies like as Tesla Motors providing home charging station installation services for their customer base, in addition to other electric vehicle EV OEM’s, e.g. Nissan, BMW, Ford, Chevrolet, etc. Smart Charge Residential has also established working contracts with local utility companies like Austin Energy in an effort to both grow and maintain the City’s valued public EV charging station infrastructure. As one of ChargePoint’s leading distribution partners, Smart Charge Residential is “plugging-in” the gap between EV drivers and their much needed ease of access to power. Join us for a happy hour presentation and discussion with Smart Charge Residential CEO Joseph Barletta. January 24, 5:30 – 8:00 p.m.
“Imagine a company intellectually immersed inside the EV market with master certified electricians installing today’s most advanced EV charging systems, laid out strategically across Texas. An entity whose single focus is to provide a complete turnkey solution for their Residential, Commercial and Industrial customers with the highest quality standards in customer service and craftsmanship. Pioneers continuing to provide all EV drivers with the most attractive, affordable and reliable means of EV charging available. Now imagine that company inside every major metropolitan city across America and what such deployment can do to accelerate the advent of EV’s in a worldwide effort to reverse the damaging affects of CO2 emissions on our planet. “That’s the driving force behind Smart Charge Residential” says CEO, Joseph Barletta. “The sheer presence of a Smart Charge Residential inside the marketplace will encourage a general sense of security, piece of mind, reliability, service expertise and understanding for EV’s from today’s mainstream consumers. Such focus is critical to accelerating EV adoption as we move forward with restoring our planet to an environment our children’s children can enjoy. This is the single most important factor that drives our intensity and lays the foundation for our company’s mission.” Barletta is now working on Smart Charge America, SCR’s parent company, in an effort to continue scalability across the US. Solar Austin Holiday Party – Save the Date! Our holiday party was so much fun last year, that we’re making it an annual event. This year, we will honor Tom “Smitty” Smith, who has served as the director of Public Citizen’s Texas office for 31 years and Karen Hadden, who is the Executive Director of the Sustainable Energy and Economic Development (SEED) Coalition. Smitty and Karen were central to the creation of Solar Austin and have been champions for solar energy in Austin and across Texas for many years. Smitty is retiring from Public Citizen and Karen recently stepped down from the Solar Austin board after many years of service. We hope you will help us honor their contributions to solar in Austin. 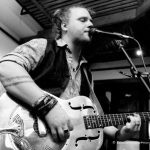 WHEN: Tuesday, December 13, 7-10 p.m.
We’ll have live music by Ben Blamer and his band, appetizers, and a drink with each ticket purchase. Some knowledgeable and good-natured persons have agreed to take up the mantel of their political party, wear a partisan hat in public & discuss energy policy – remarkable and appreciated. When Solar Austin talks energy, we typically mean the optimally distant nuclear fires of the Sun and a quiet panel on your roof. But when in TX one should be ready to talk knowledgeably about oil and gas, its regulatory body – the Texas Rail Road Commission, as well as the many renewable options with which Texas is blessed. All these energy sources will be important to TX for decades to come and become more interesting and intertwined as transportation becomes more electrified and the means and the materials of these systems become more highly engineered and dependent on our chemical, manufacturing and design prowess. The speakers we have lined up are capable of covering much of this ground. Democratic Party – Lon Burnam is an experienced 9 term (1997-2015) TX Representative from District 90 in Ft. Worth and we are honored to have him join us. He was considered the top candidate in his primary run for the TX Railroad Commission this year. Despite endorsements from many national organizations and several of Texas’ major newspapers he was defeated in the Democratic primary to the surprise of many Texas Observers but has many earned insights to share. 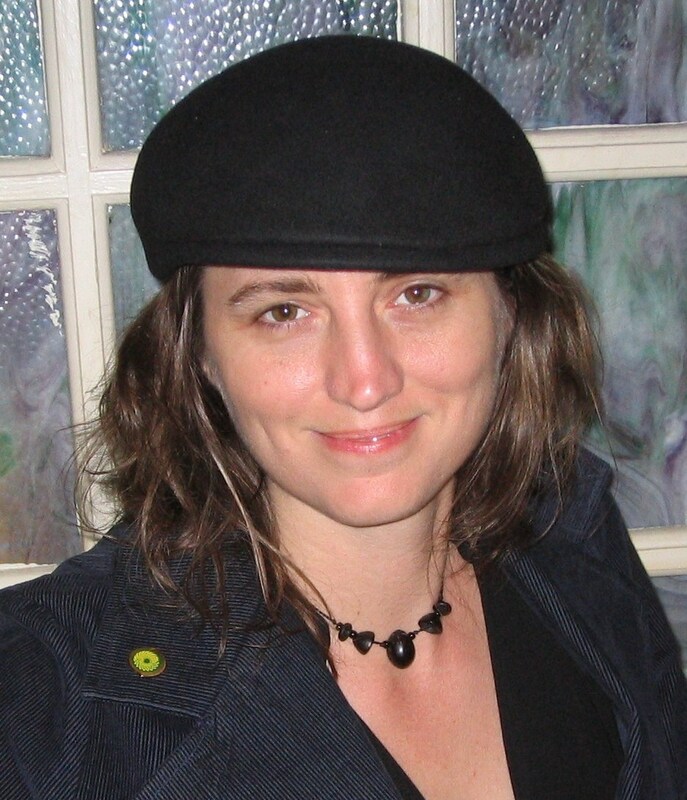 Green Party – kat gruene, is a current candidate for TX Representative District 51 but is joining us principally to share a decade of experience as a Co-chair and at-large State Executive Committee member of the Green Party of Texas. She has dedicated herself to expanding access to the Texas electoral process for the past fifteen years. 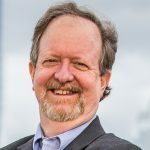 Libertarian Party – Dr. Mark Miller is joining us in his capacity as Vice-Chair of the Libertarian Party of Texas. He is steeped in TX energy matters as he has indeed written the book on the Texas RailRoad Commission (see the book cover below), had a varied career in the oil and gas industry, and been a petroleum engineering faculty member at UT. 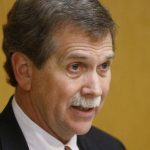 He is also a 2016 candidate for Texas Railroad Commissioner, the top statewide office in contention this year, and leads in endorsements from the state’s major newspaper editorial boards, including the Houston Chronicle and Dallas Morning News. Republican Party – ?? (we are still working on it…..we will accept suggestions) – The Republican party has dominated state wide offices for over 20 years so we may simply credit the party with the status quo and let that stand as everyone’s favorite straw man for good or ill – to the degree that policy has been responsible. With questions, good humor and magnanimous nature at hand, we look forward to you joining us. This past fall and winter, the Electric Reliability Council of Texas (ERCOT) – the entity that controls the electric grid that serves most of Texas – convened the Distributed Resource Energy and Ancillary Markets (DREAM) Task Force. The purpose of the DREAM Task Force was to evaluate new rules for distributed energy resource participation in the ERCOT wholesale power market. The DREAM Task Force vetted concepts and made recommendations. Then it was time for ERCOT staff and stakeholders put forth market rule revisions based upon concepts vetted in the DREAM Task Force. Dan Seif will present an update on where we are with these new rules and what it means for new profitable opportunities for distributed solar in Texas. Dan Seif is Managing Director of Grid Economics, a clean energy policy, markets, business development, and financial advisory consulting firm. 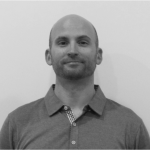 Prior to cofounding Grid Economics, Dan was a Sr. 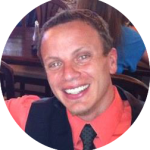 Consultant with The Butler Firm, an Austin-area boutique clean energy legal and consulting firm. Dan also previously led the solar program as a Principal at Rocky Mountain Institute (RMI), was an investment team member of the private equity firm, US Renewables Group, and led global energy optimization and carbon emissions mitigation for the semiconductor manufacturer, Advanced Micro Devices (AMD). Mr. Seif holds a BS and MS in chemical engineering from the University of Virginia and the University of Arizona, respectively, and an Masters of Public Administration from the Harvard Kennedy School. Have you ever wondered how it is that there’s always (or just about always) electricity available when you flip a switch? It’s not magic, it’s thanks to the work done by the people at the Electric Reliability Council of Texas (ERCOT). ERCOT staff will provide us with an overview of current trends and conditions for grid operations and markets including renewable energy resources. Their senior analyst specializing in market design for distributed generation will also be on-hand to cover topics of interest that could be relevant to distributed energy services like commercial and residential solar. WHEN: Friday, October 14, 2016, ERCOT tour 2-4 p.m., Texas Beer Company after 4 p.m. REGISTRATION IS REQUIRED AND THE TOUR IS LIMITED TO 30 PARTICIPANTS, SO RESERVE YOUR SPOT NOW. Parking is limited at the ERCOT control center, so please carpool if you can. Carpools will leave at 1:00 p.m. from both locations. After the tour, we invite you to join us for a drink at the Texas Beer Company in Taylor. We’ll start by stopping by the warehouse brewery (which will be completed next year) to check out their solar array. Then we’ll head to the brewpub for a cold drink. This start-up brewary and taproom is owned and operated by Austin natives who love solar, so it’s a great place to finish our afternoon in Taylor. The Electric Reliability Council of Texas (ERCOT) manages the flow of electric power to 24 million Texas customers – representing about 90 percent of the state’s electric load. 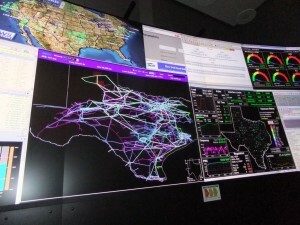 As the independent system operator for the region, ERCOT schedules power on an electric grid that connects more than 46,500 miles of transmission lines and 550 generating units. ERCOT also performs financial settlement for the competitive wholesale bulk-power market and administers retail switching for 7 million premises in competitive choice areas. ERCOT is a membership-based 501(c)(4) nonprofit corporation, governed by a board of directors and subject to oversight by the Public Utility Commission of Texas and the Texas Legislature. ERCOT’s members include consumers, cooperatives, generators, power marketers, retail electric providers, investor-owned electric utilities (transmission and distribution providers,) and municipal-owned electric utilities.